Here's some philosophy that will blow your mind. Imagine if the things around you – man-made things like tables and houses, and natural things like trees and cats and puddles – imagine if these things were not just made of matter, but also had another immaterial aspect to them called a "form". So a table would be a composite of matter (wood, nails, glue, etc.) and form (the form of a table). A house would be a composite of matter (brick, concrete, metal, etc.) and form (the form of a house). 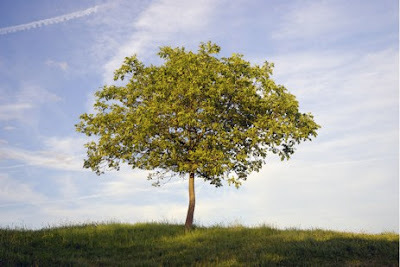 A tree would be a composite of matter (xylem cells, phloem tissues, etc.) and form (the form of a tree). A cat would be a composite of matter and form. A puddle would be a composite of matter and form. Imagine if this were how the world really is – objects consist not only of matter but also of this weird "form" thing. Well this is actually a respectable position in the world of philosophy. It is Aristotle's theory of hylemorphism (hyle = matter, morphe = form), and in the philosophical arena its defenders include David Oderberg, Anthony Kenny, Edward Feser, Elizabeth Anscombe, and John Haldane. I am getting acquainted with this view through Jonathan Lear's book Aristotle: The Desire To Understand. In the case of man-made objects, the form is transmitted from the mind of the craftsman to the table, house, or other object being made. In the case of natural things (cats, plants, people), the form is transmitted from parent to child. A third way in which form is transmitted is through teaching: form is transmitted from the mind of the teacher to the mind of the student. I think it's a lovely way to look at the world – that the keyboard I'm typing on not only has parts of metal and plastic but also the form of a keyboard. And I suppose if I am imparting any ideas to you, the forms of those ideas are being transmitted from my mind to yours. And to think that forms are not a trick of the mind but a basic ontological feature of reality – what a wonderful world. There are a lot of interesting ideas that flow from this – check out Lear's book for more. posted by Jonathan at 6/14/2011 10:04:00 p.m.